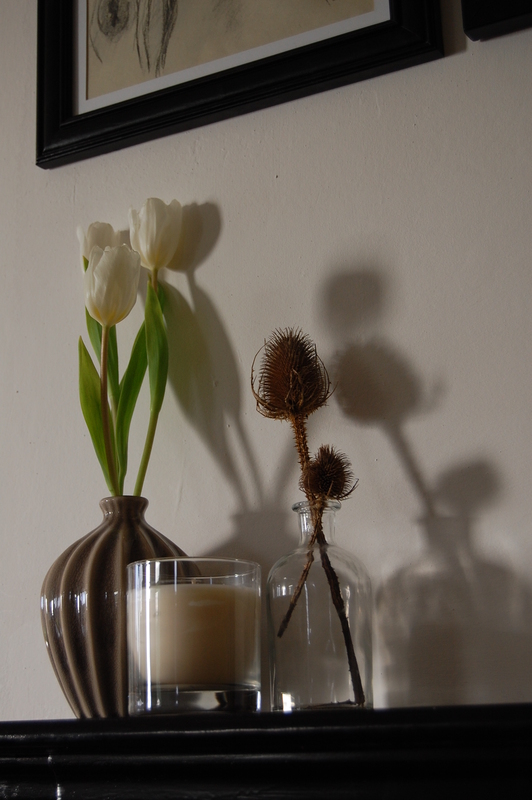 The light streaming into my house at about half past nine this morning was beautiful and I love the way it brought the small groupings of vases on my mantelpiece alive. 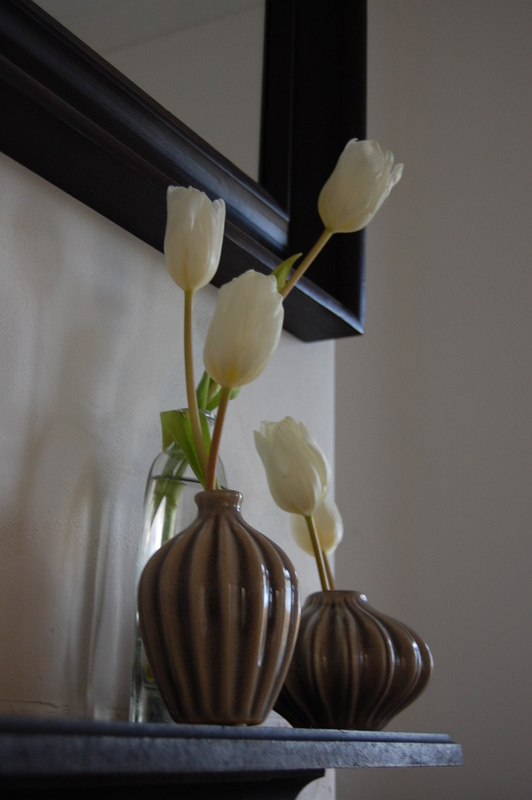 To decorate your mantelpiece like a pro (as opposed to me), check out Abigail Ahern’s tips for creating vignettes. And enjoy!